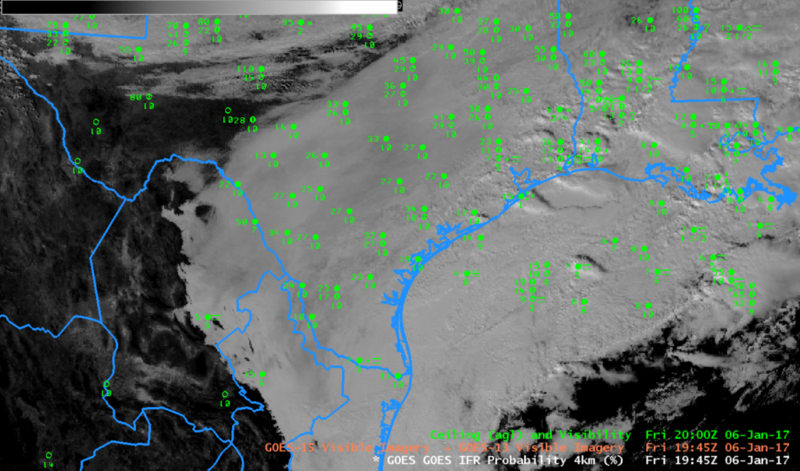 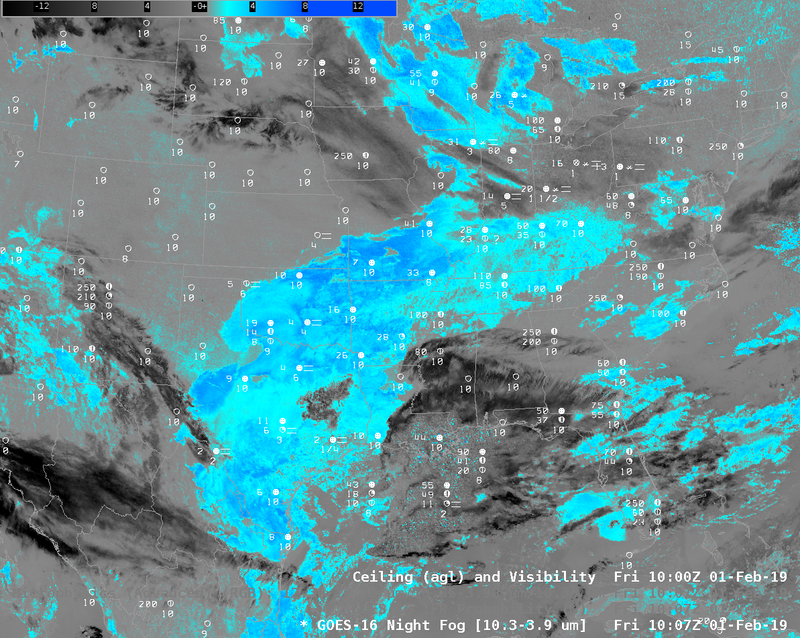 Fog with sub-freezing temperatures developed over New Mexico and west Texas early on the 30th of December, and persisted into mid-day. 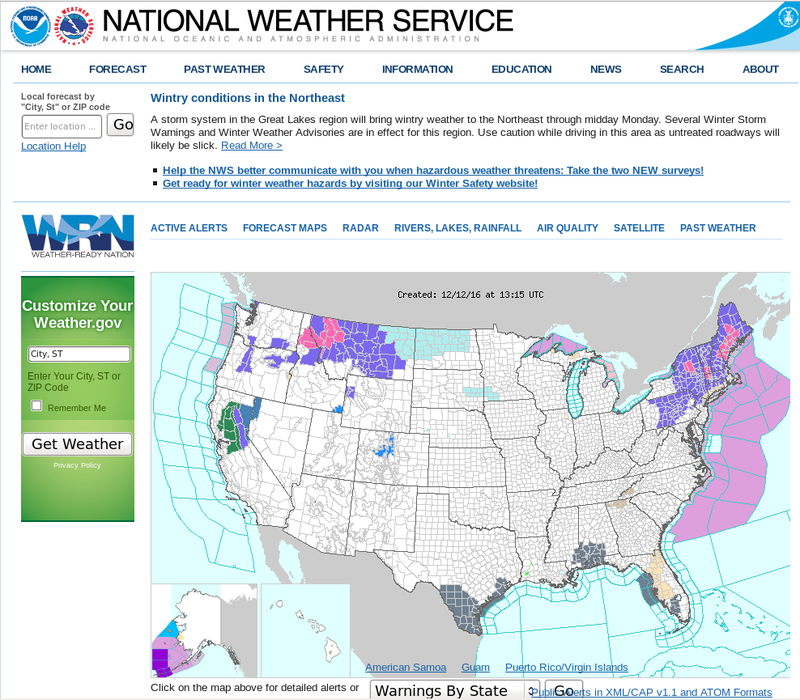 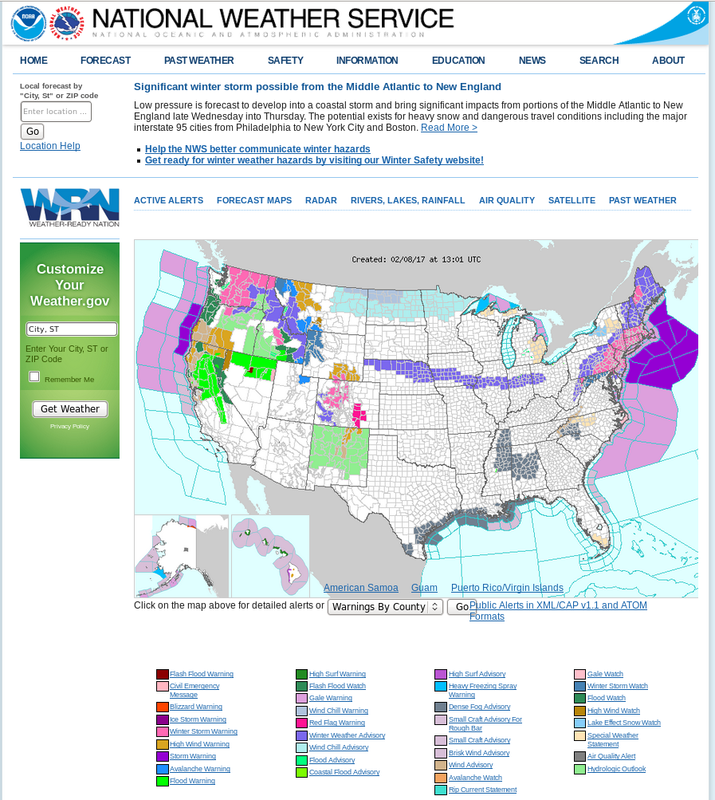 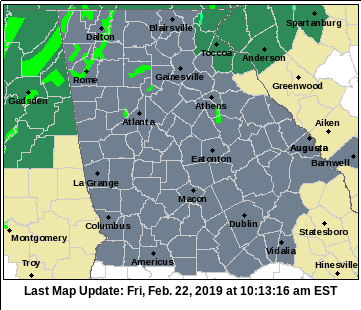 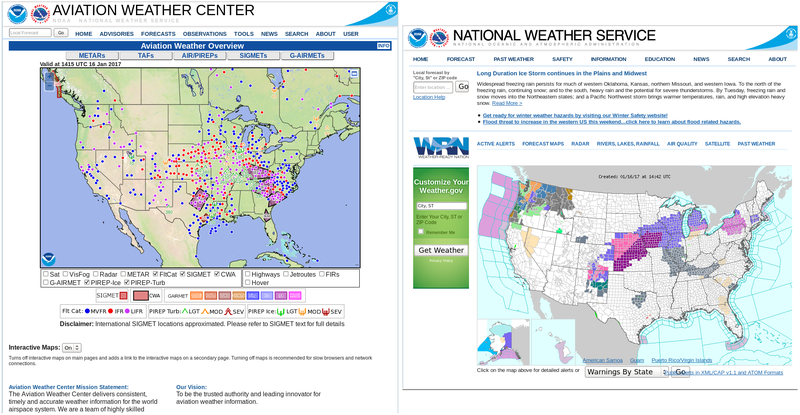 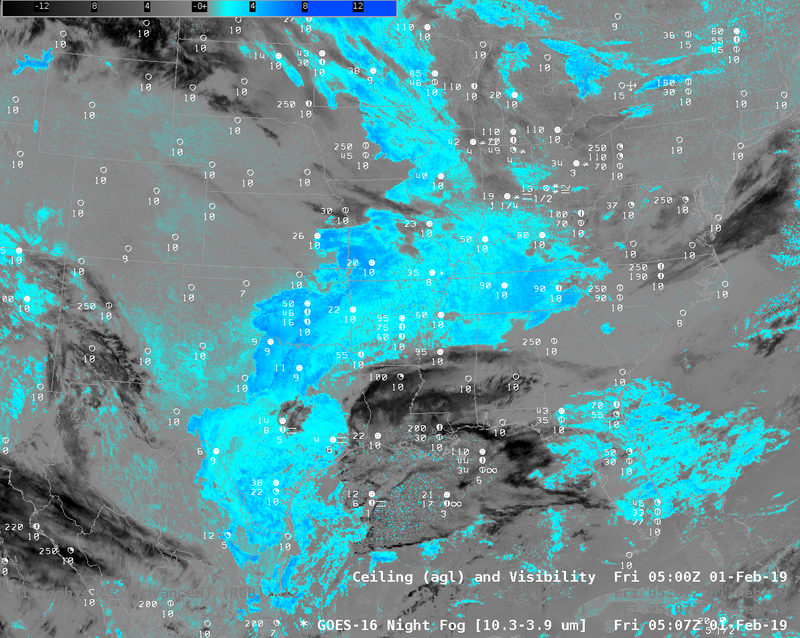 How well did conventional (and newer) algorithms designed to detect fog perform? 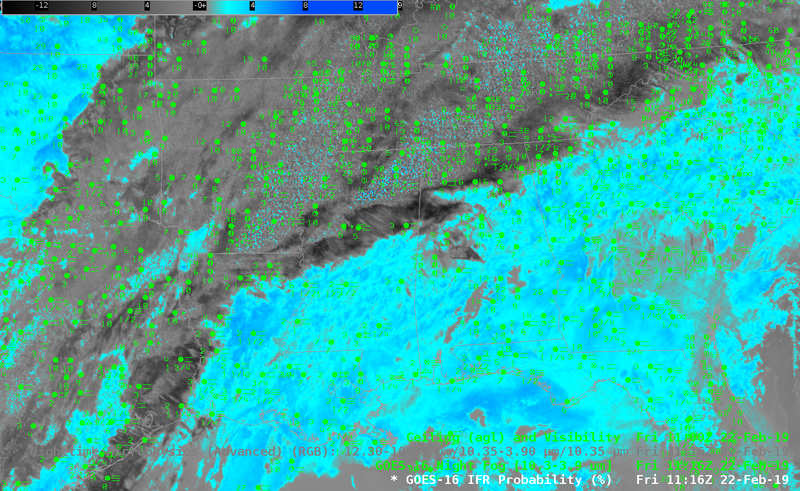 The GOES-R IFR Probability fields, above, hourly from 0415 UTC through 1745 UTC on 30 December, show highest IFR Probabilities initially along the Pecos River in New Mexico. 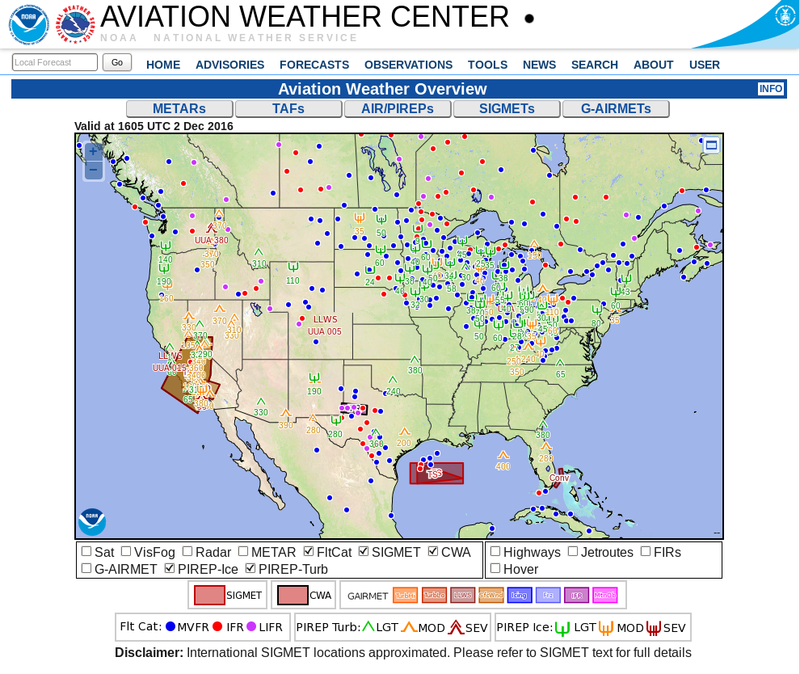 Airports at both Artesia and Roswell reported IFR conditions continuously during the period shown. 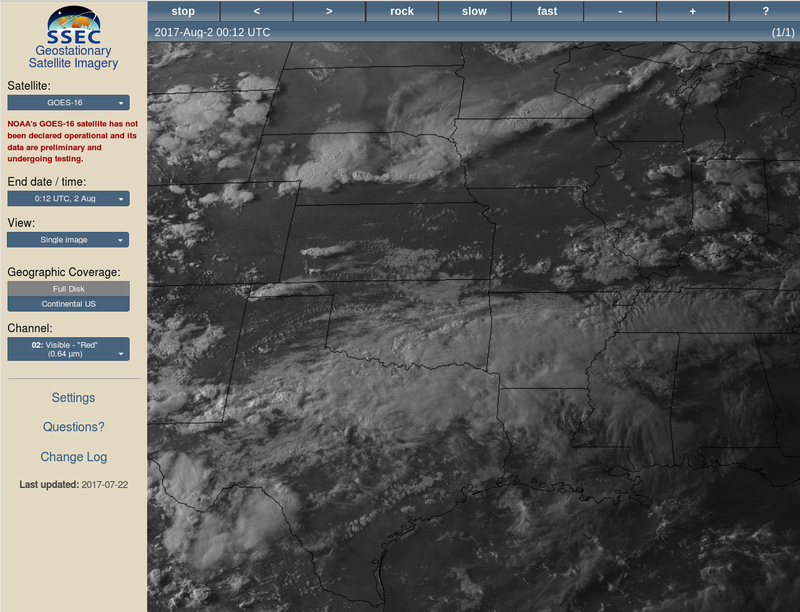 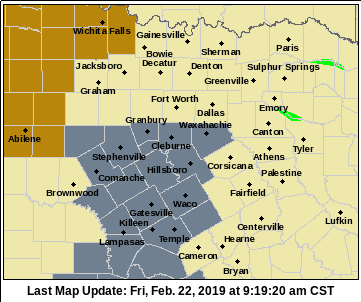 IFR Conditions developed over Texas west of a line from about Breckenridge (in Stephens County) to Vernon Texas (in Wilbarger County). 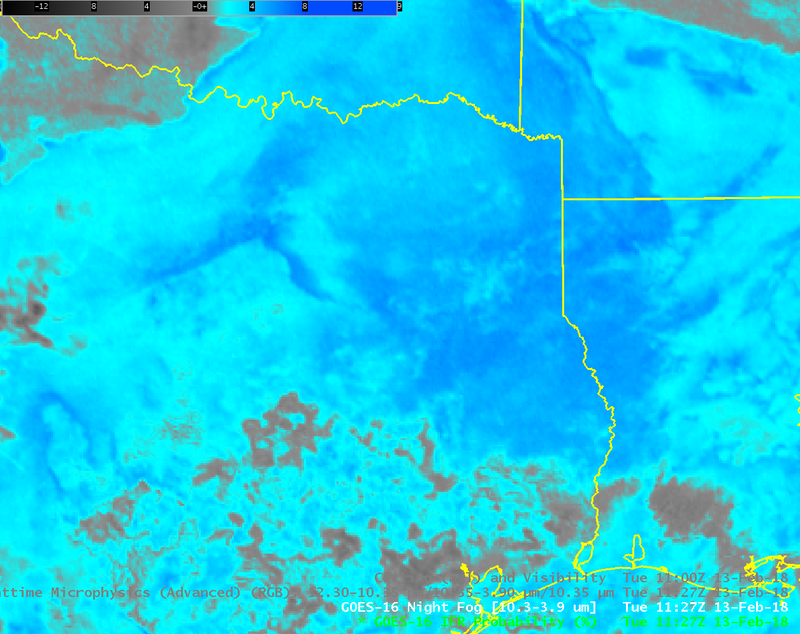 The southern extent of the ice fog was near a Midland (in Midland County) to Coleman (in Coleman County) line. 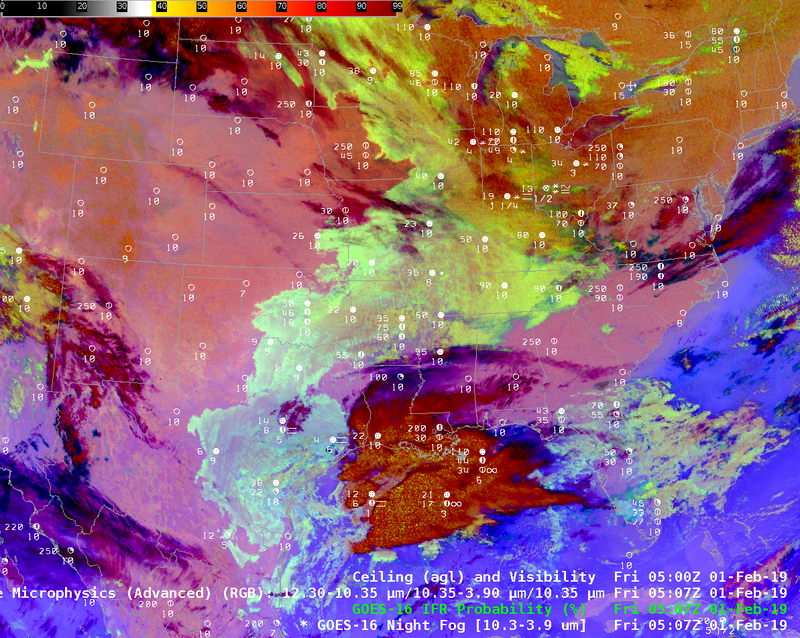 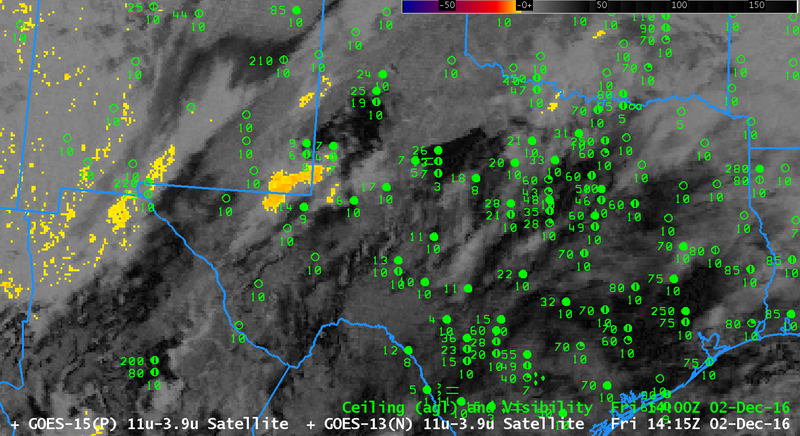 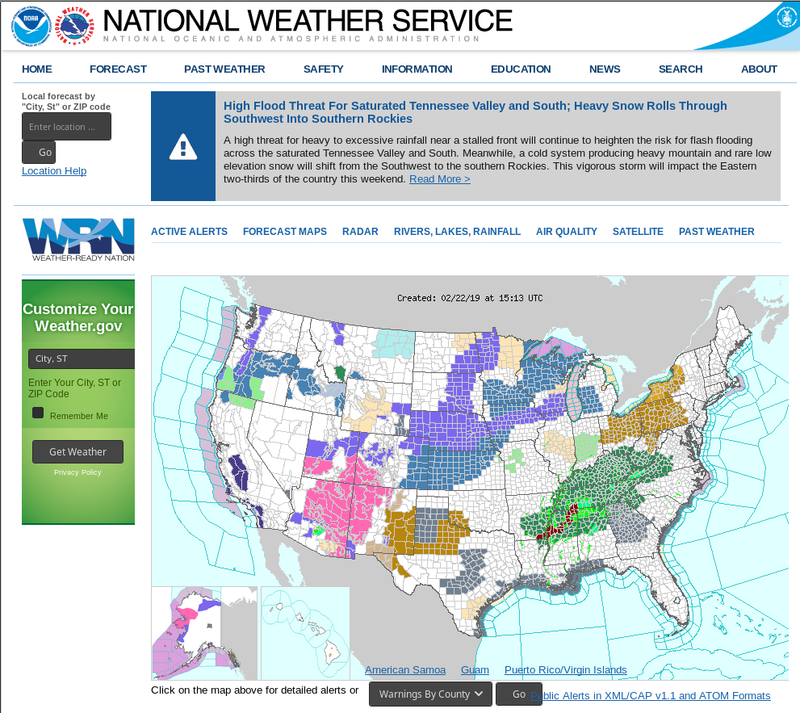 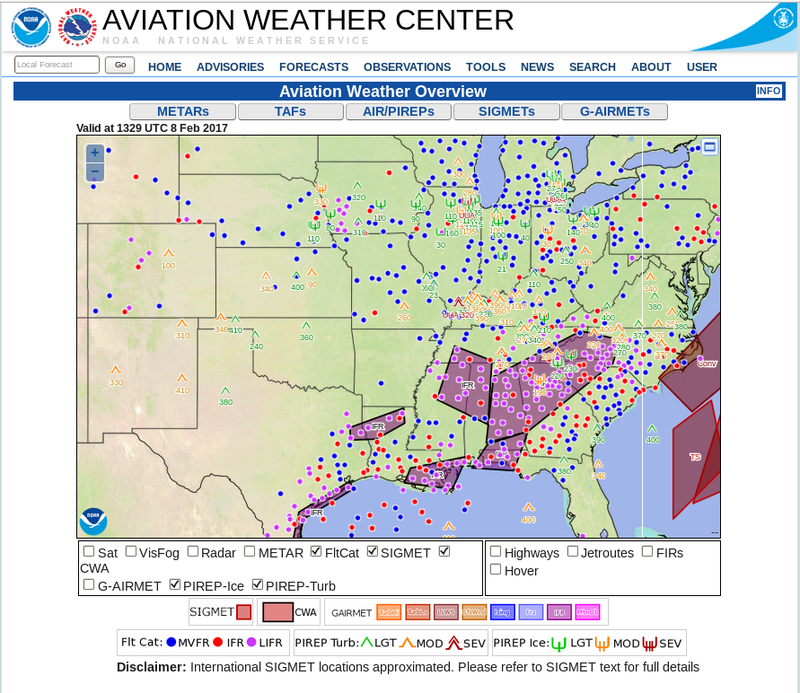 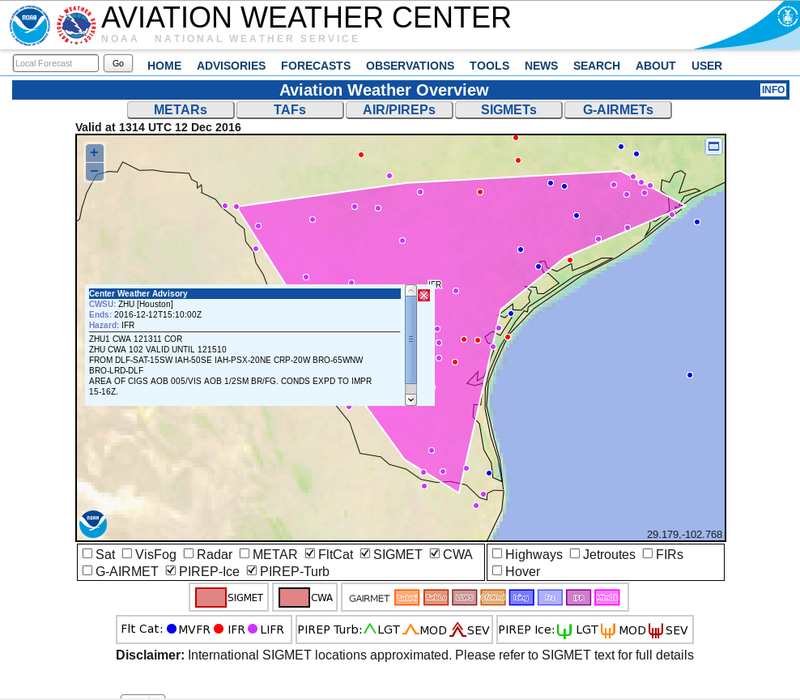 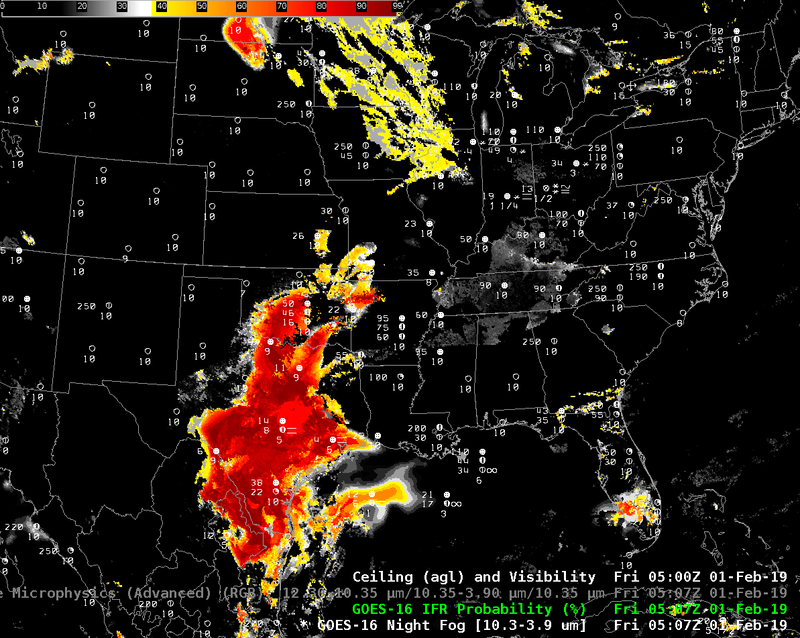 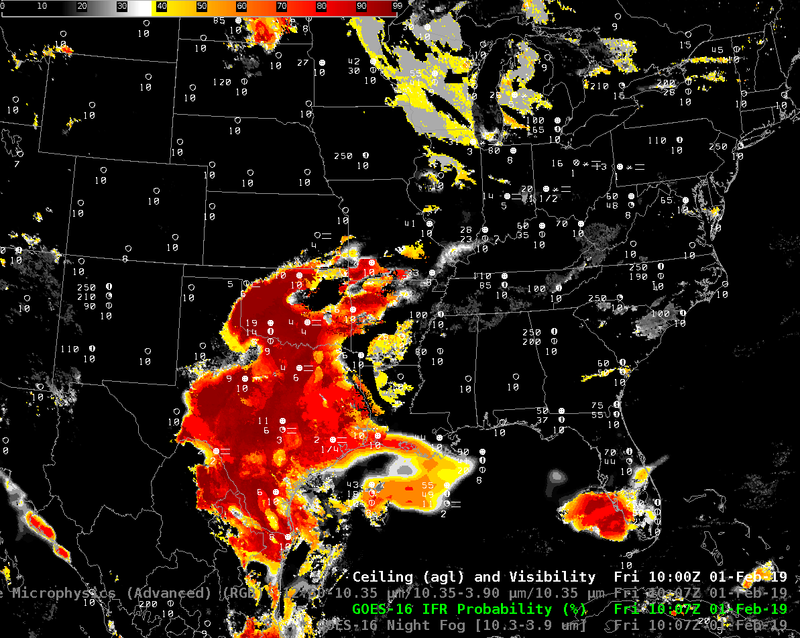 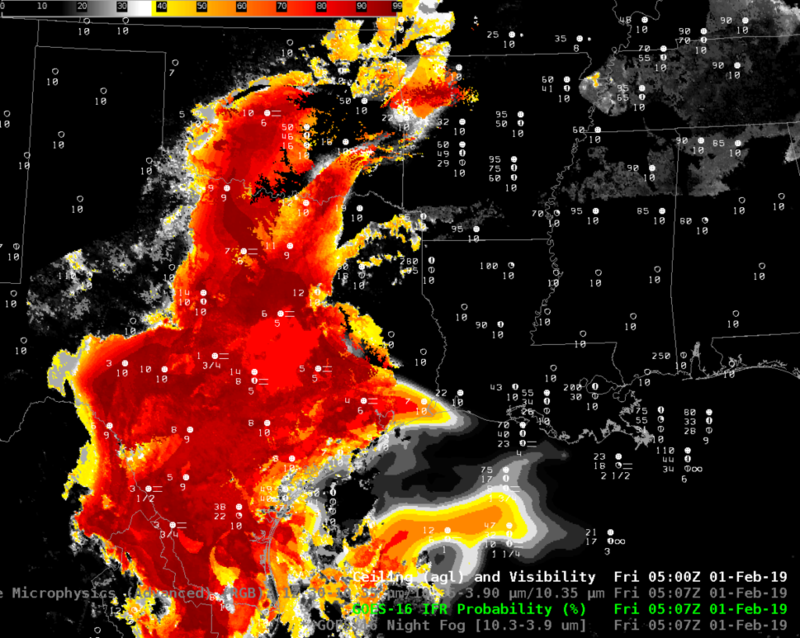 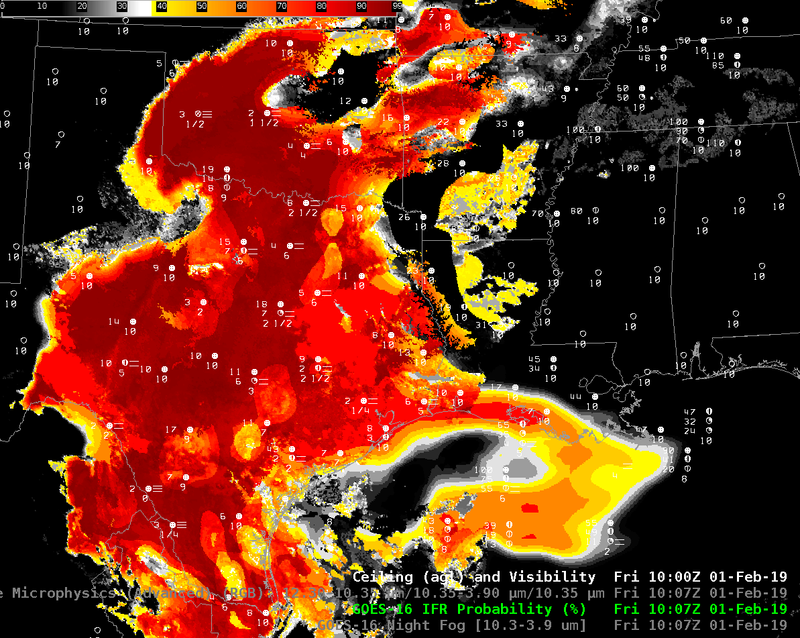 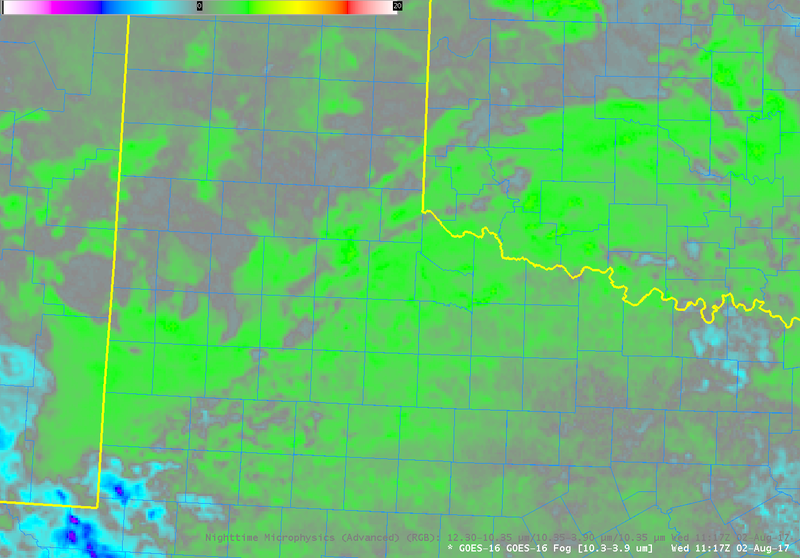 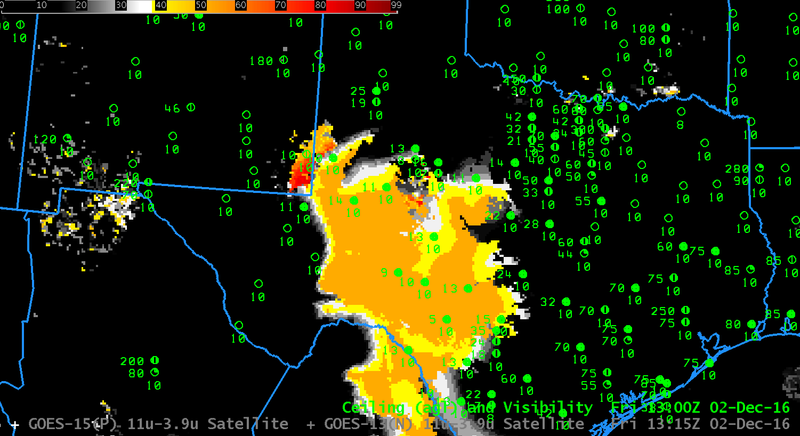 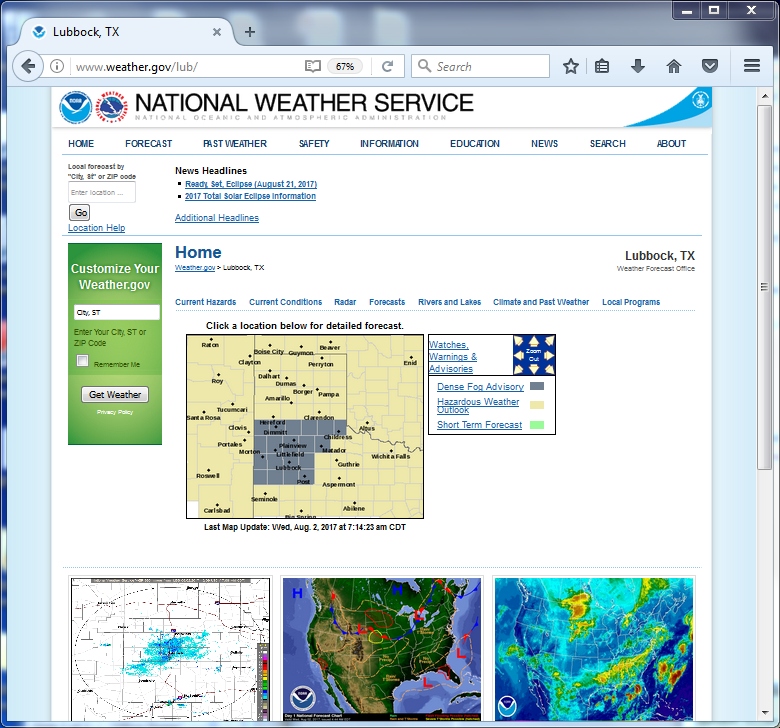 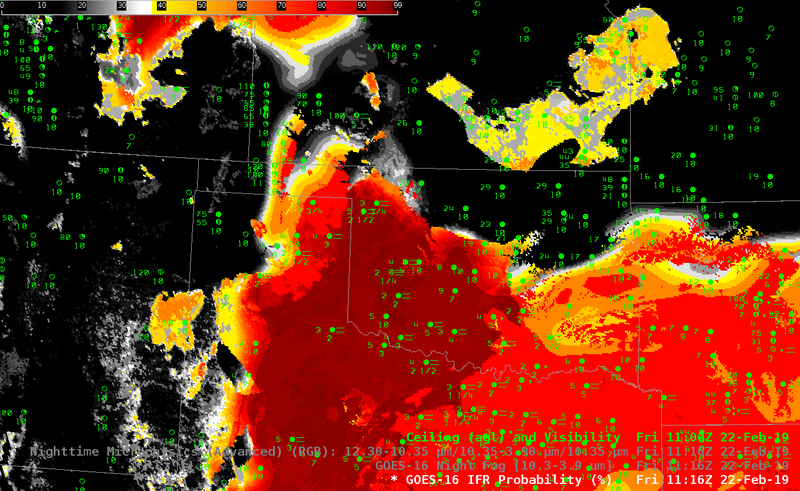 High IFR Probabilities were common over Texas where the Fog/Freezing Fog was occurring. 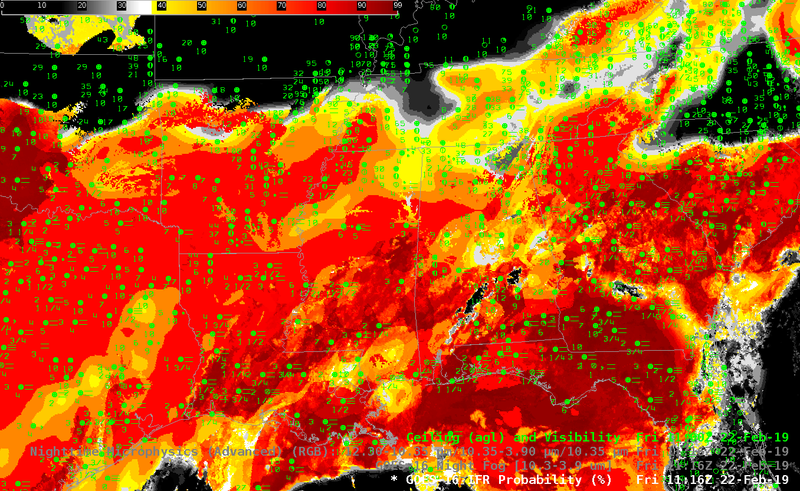 The Brightness Temperature Difference field for the same times are shown below. 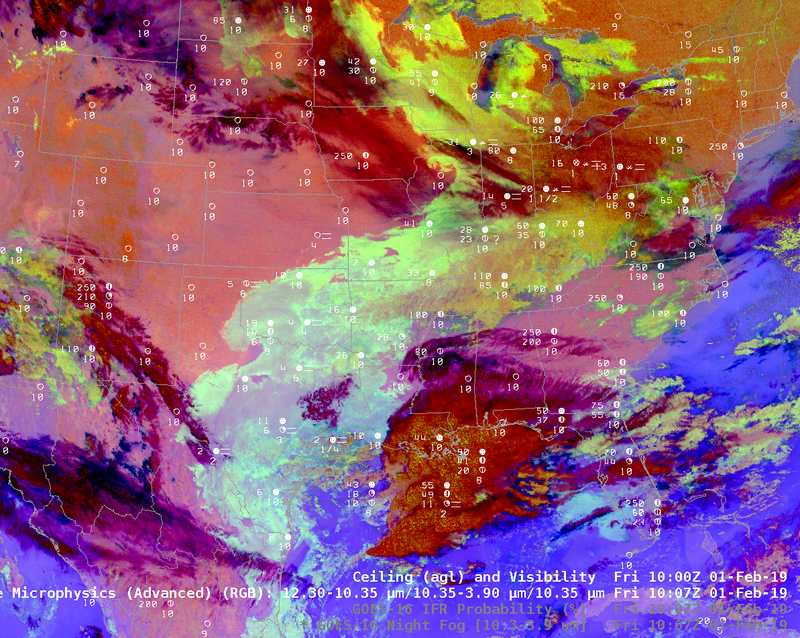 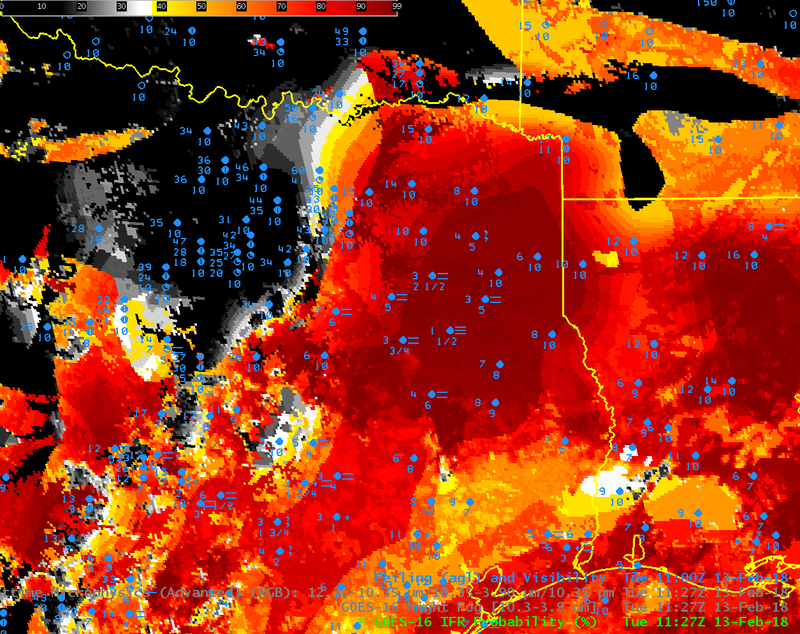 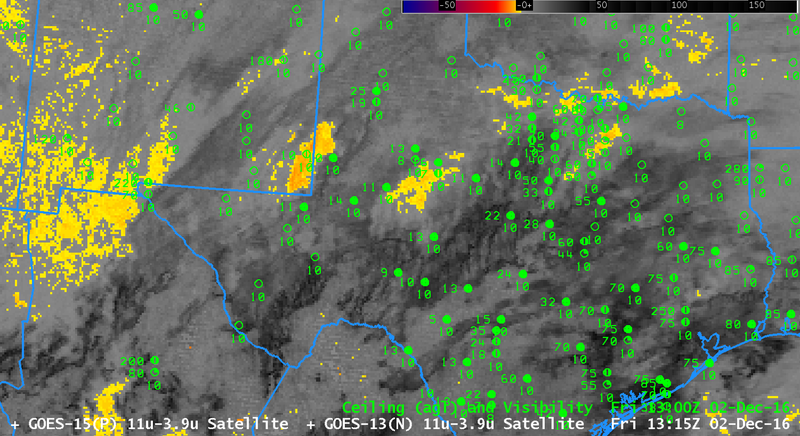 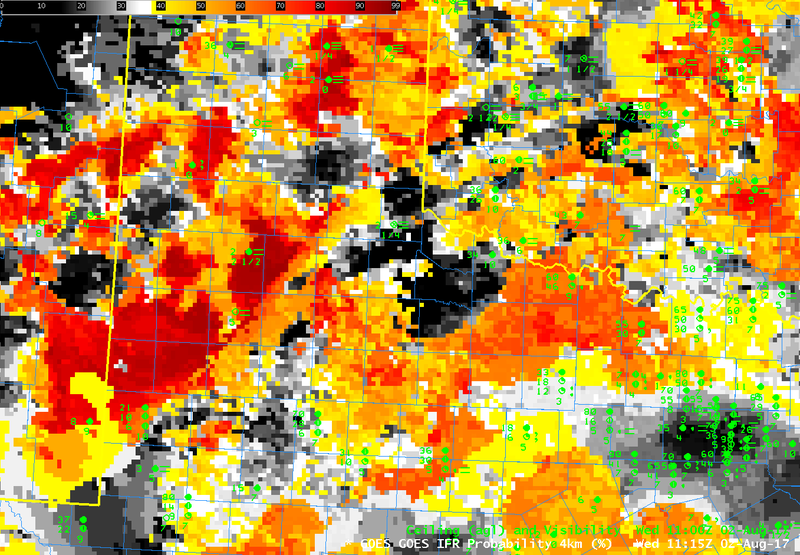 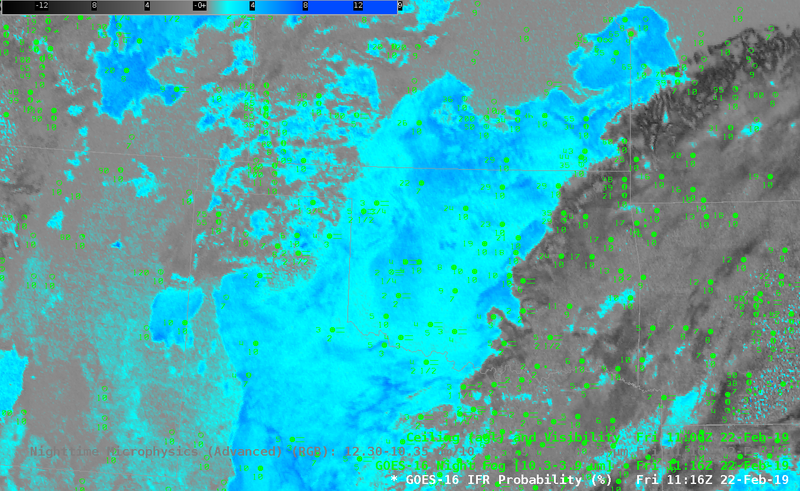 The Brightness Temperature Difference field captures the presence of water-based clouds along the Pecos River in New Mexico — both at night (orange enhancement) and during the day (black enhancement). 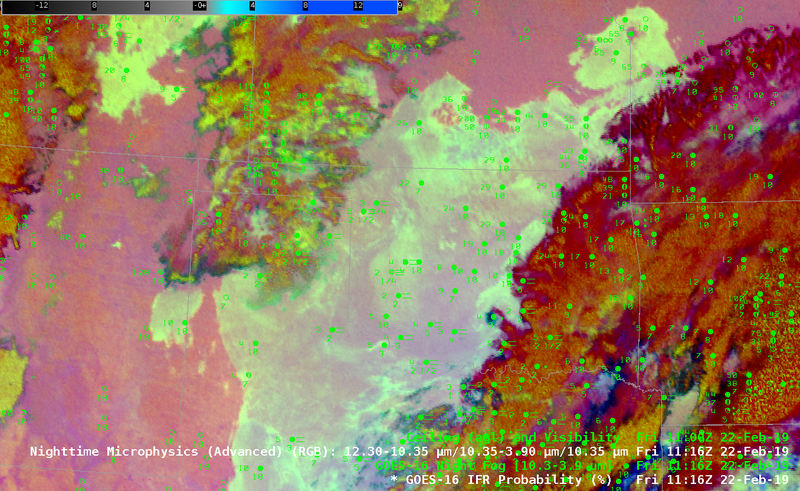 The Brightness Temperature Difference field tells you something about the top of the cloud only, however; it cannot give information about the cloud base. 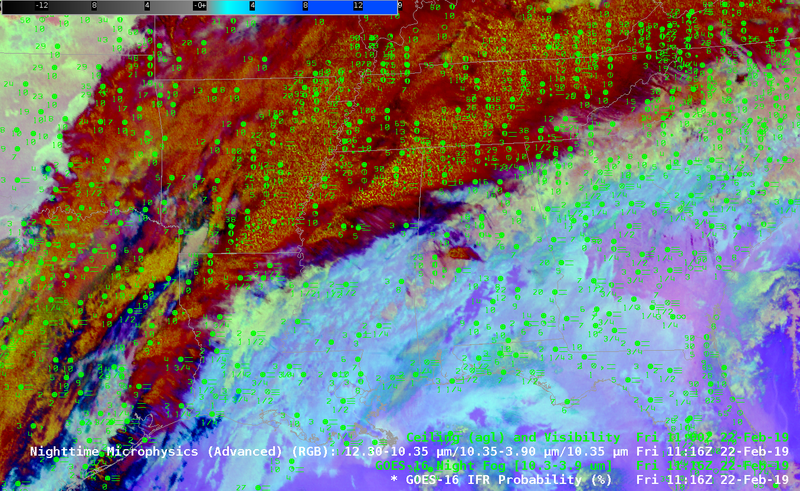 (In contrast, the GOES-R IFR Probability product, because it fuses satellite data with surface information derived from Rapid Refresh Model output, a distinction between mid-level stratus and low fog is possible). 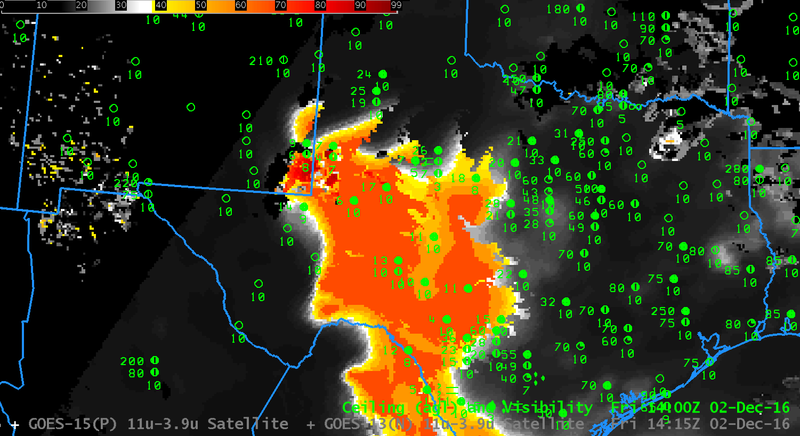 In addition, there are regions in the brightness temperature difference field where no strong signal occurs even though fog is present (Hobbs, NM in Lea County and Seminole TX in Gaines County, for example). 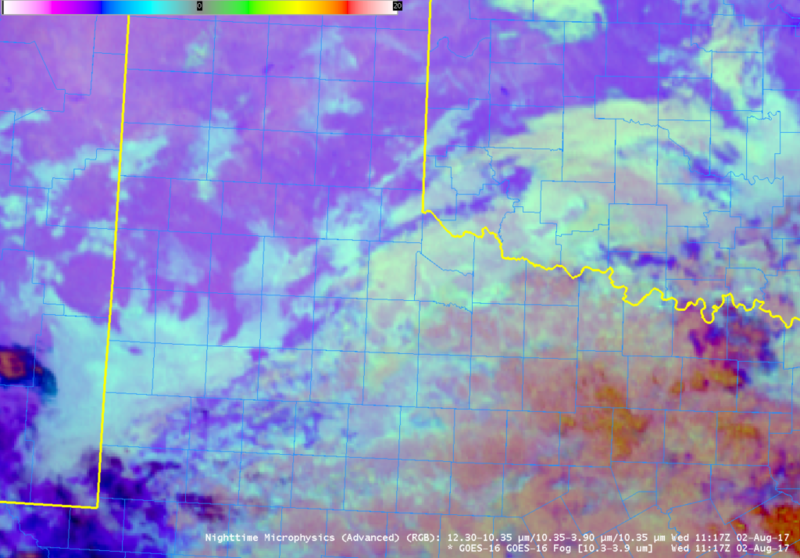 This entry was posted in Plains, Texas on December 30, 2015 by Scott Lindstrom.